Last day at Seogwipo. I decided to go for a forest walk again. I need to have more fresh air from here. At least to heal my tired body. 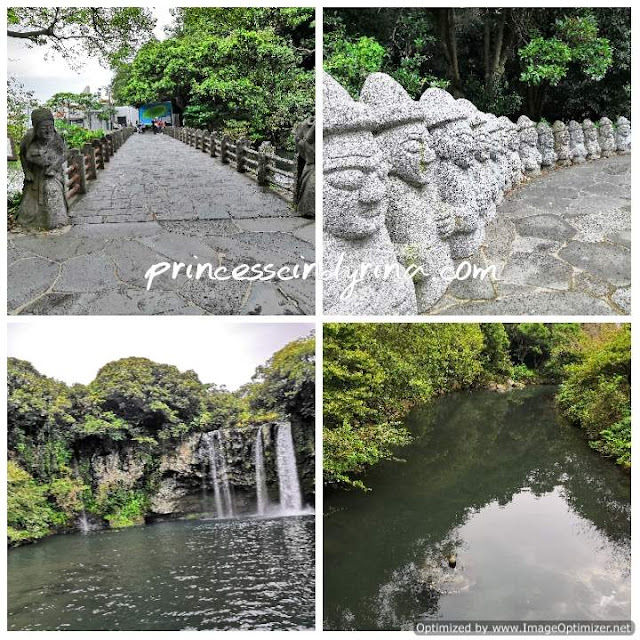 The last trip to Jeju-do, I don't get the chance to Cheongjiyeon Waterfall but I did visited Jeongbang waterfall which is nearby. So, I decided to visit this place in the morning. 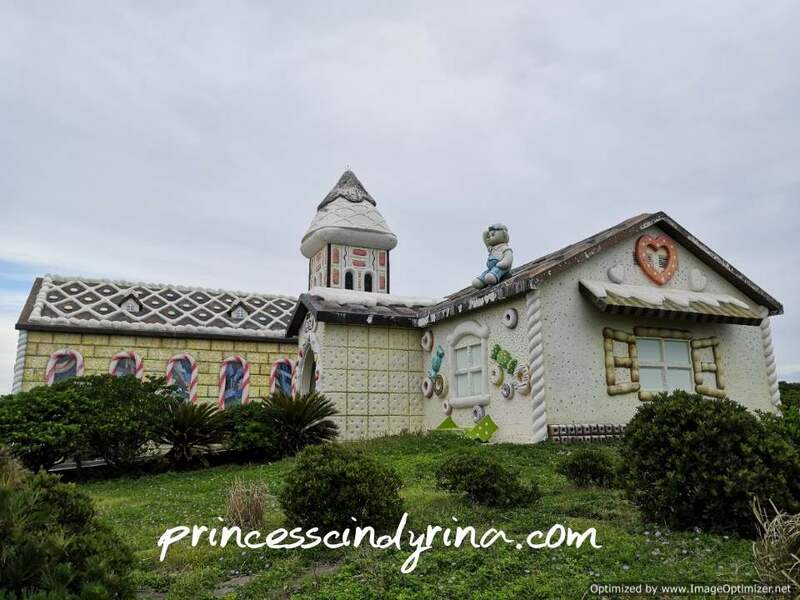 The place is only 5 minutes drive from the place I stay. There are many stalls at the entrance of this place. 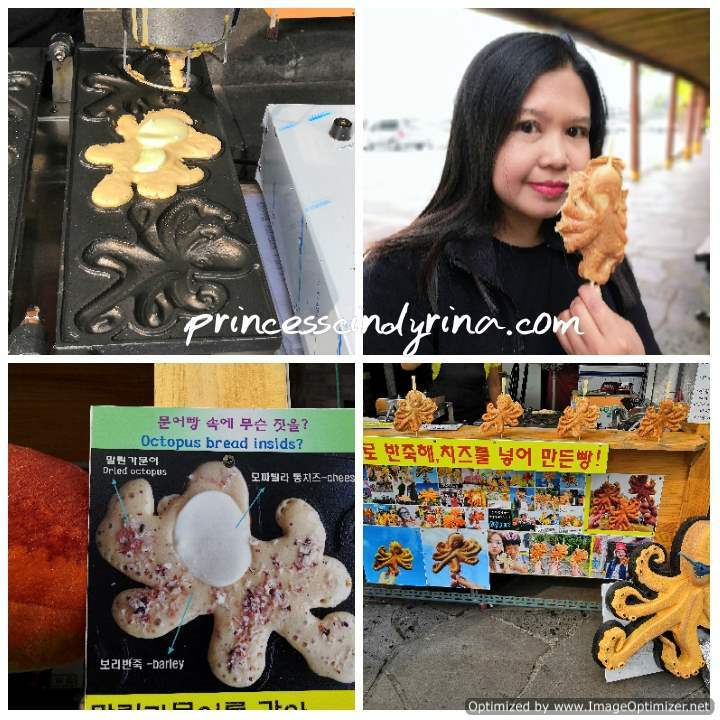 One of the stalls is selling famous Jeju-do Octopus bread. I was trying to eat this few nights ago at Olle Market, but the queue was super long, so I gave up. I decided to buy on for morning breakfast. Serious delicious. Cost me KRW3,000. This is like pancakes batter sprinkled with dried octopus flakes, a special Jeju grown barley and mozzarella cheese. I can eat many of this. But when I keep converting the price. Aihhhh!! I eat one enough le... for taste. I read the water at Cheongjiyeon Falls meaning 'sky connected with land' appears to fall from heavens. The view here really feels heavenly. 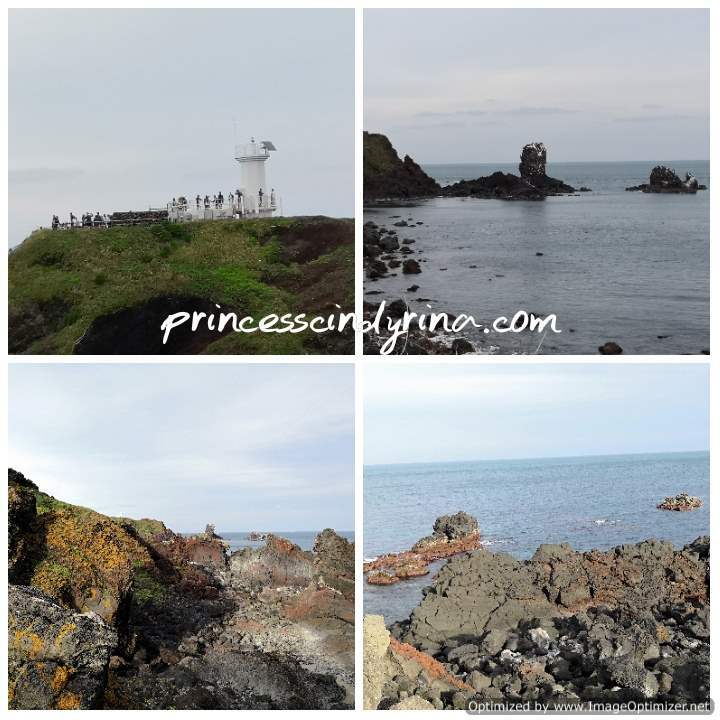 This place is another Natural Monument in Jeju-do. I really enjoy the lush green of the surrounding trees. I just walked and enjoy the crowd of the Chinese tourist who happened to be there too. Yes! they are super loud and kind of disturb the peace too. They are very competitive in taking the best shot with the waterfall background. Haihhh!!! I quickly move away from this place and wish for a peaceful forest walk. I stop by Saryeoni Forest Path. Just parked the car by the roadside and cross over the wide road opposite with row of tall trees. This place really reminds me of the cedar forest which I visited up in Alishan, Taiwan. 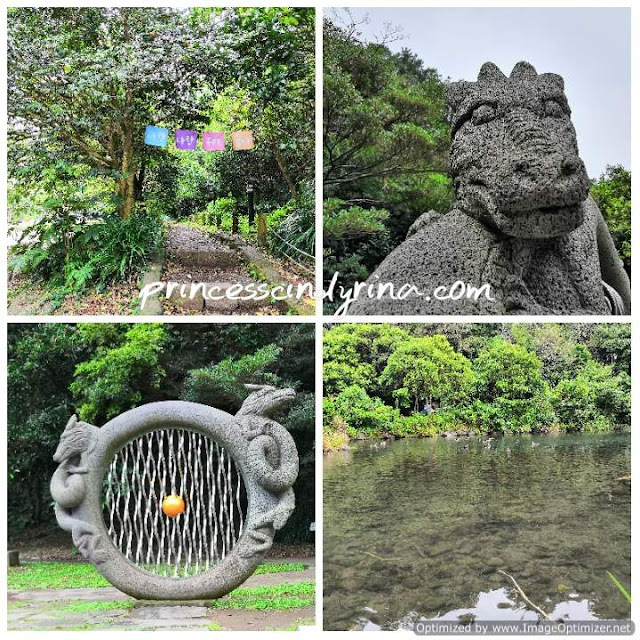 This place is a tranquil path through cedar forest. 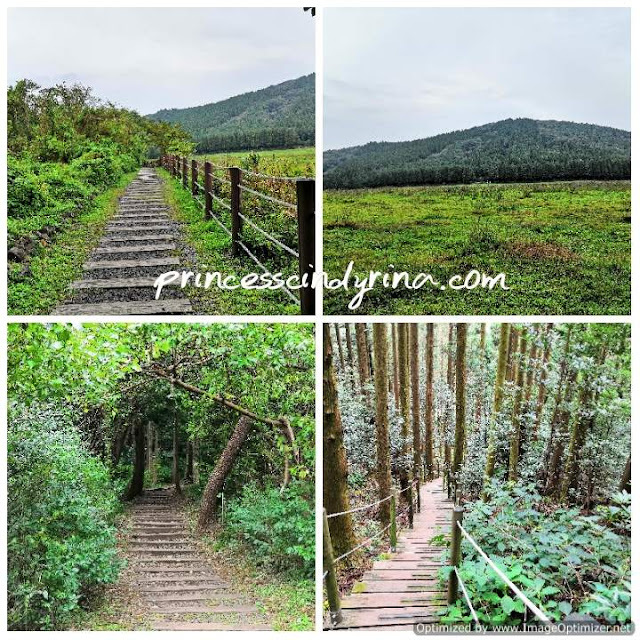 This trail is a cedar forest grown in between of Mulchat Oreum and Saryeoni Oreum. Not just cedar, I read they even have Japanese Oak, birch and Cypress trees along the 550-meter long trail. Really famous for a quiet walk and I met few brides and grooms to be, take a photo shoot here. I unable to climb up to Hallasan Mountain but I end up to discover this beautiful Oreum call Mulyeongari-Oreum which located around Halla Mountain. This is one of the oreums that has a wetland on top of oreum. 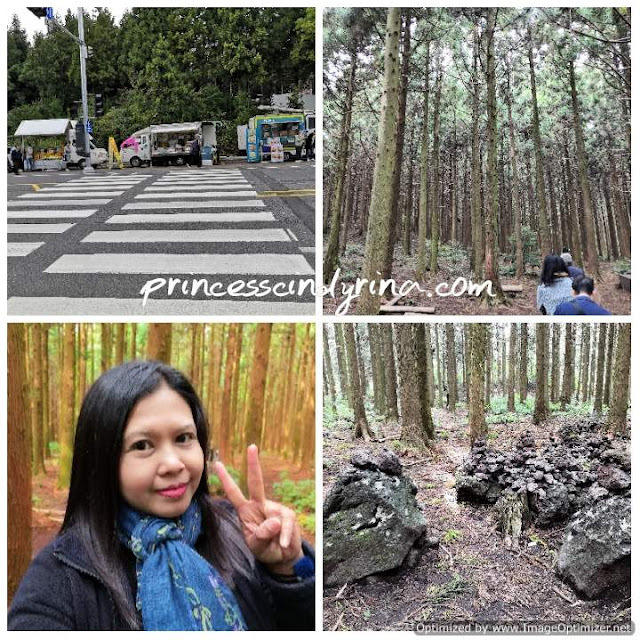 If you watch Korean movie 'A Werewolf Boy' star heartthrob Song Joong Ki, this place was used as a background scene. The wind here is quite strong and really chilly. Not many people here too. So, it really peaceful out here. I tried to climb up the 800 stairs but I unable to finish it off. I climbed up halfway then stop at the nearby bench to eat prawn crackers which I bought for 1+1 at 7 Eleven the day before. Then while eating, I heard wild animal sounds. I hurried down immediately. huhuhuh...chicken out because I was the only one hiker here. So feel a bit scary cat! huhuhuh... But still..this is the best place I visited. Love the refreshing air and beautiful scenery here. This place is not touristy so this place is really special. I just explore the nearby and enjoy the view surrounding this Oreum before continuing my journey to Sagumburi Crater. Not my first-time visit to this place but really love to visit it for the second time. Check out my previous post here. 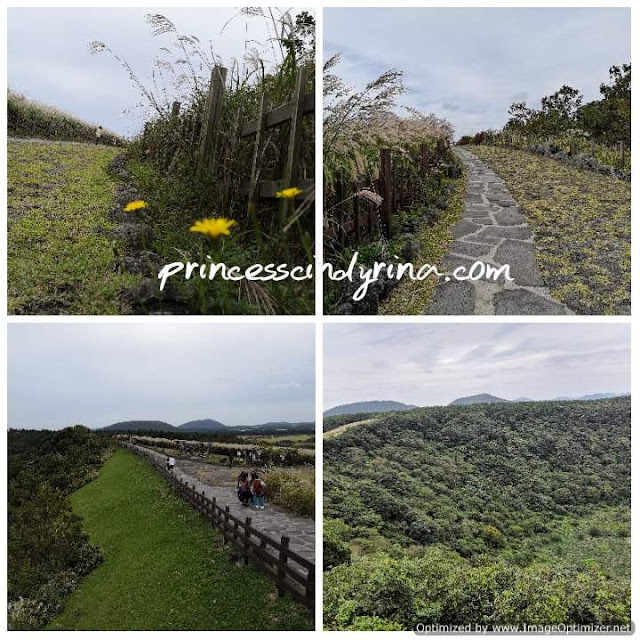 Sagumburi Crater is another Natural Monument worth to visit if you are in Jeju-do. This place is a flat crater and it looks like man-made circular stadium view from the top. In a windy day, I love to watch the flame grass dancing to the rhythm. Loving the view so much here. Just walk, breathe and enjoy the beautiful view. 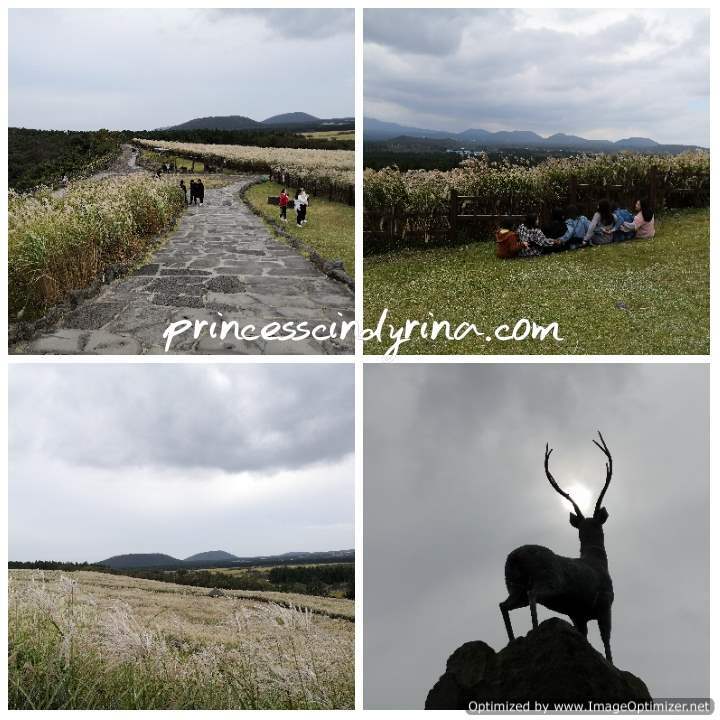 It will be beautiful to visit this place during spring time because the famous Jeju yellow canola flowers are full bloom. 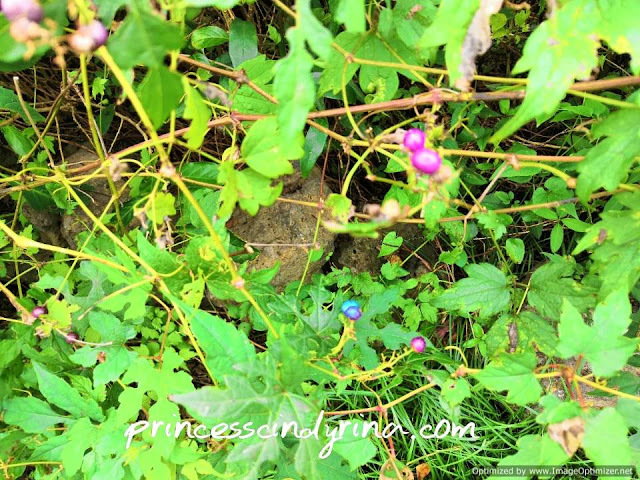 During my visit only a flat grass and rocks view. Well this place still a perfect spot for chilling out while enjoying the view. I saw many people queueing up to snap photo near the while lighthouse which I totally skip. Too far for me to walk over there. I just walked around and enjoy the sea breeze which not so pleasant at all because there is pony's dung everywhere here. Is it the sea breeze or the pony's dung? I really feel super hungry out of sudden. The journey back to my favourite Ajumma will be too long to satisfy my hunger pang. I checked on google and found out the place I was not far from Seongsan Ilchulbong. I remember there are few restaurants nearby there. So decided to eat somewhere there. 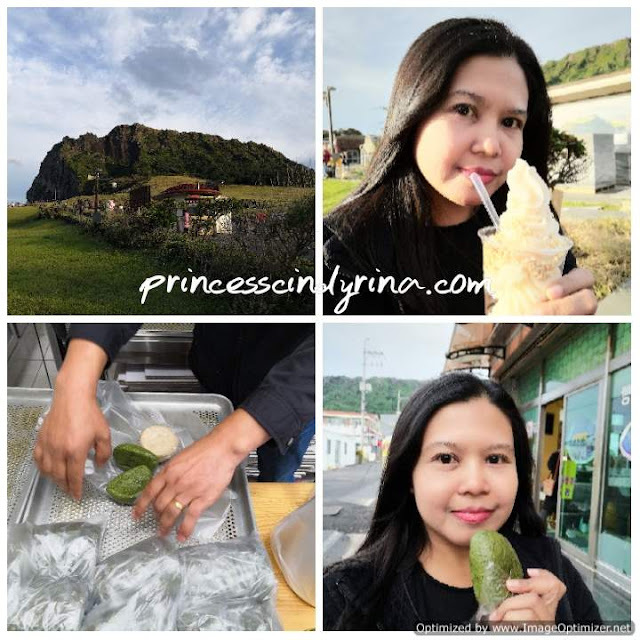 I read somewhere if you are in Jeju-do, it is a must to taste Peanut IceCream and Barley Bread. I tried peanut ice cream here and in my opinion nothing special about this. Cost me KRW3,000 for a cup. I won't repeat again. Then spent about 15 minutes walking to find the famous steamed barley bread place near Seongsan Ilchulbong. I found the place after trying my best to match the Korean character from the image I 'google out'. I bought the green one which is from mugwort and the beige colour which made from barley. Both have red bean paste filling. Cost me KRW600 each bread. I love both but the mugwort one is my favourite. 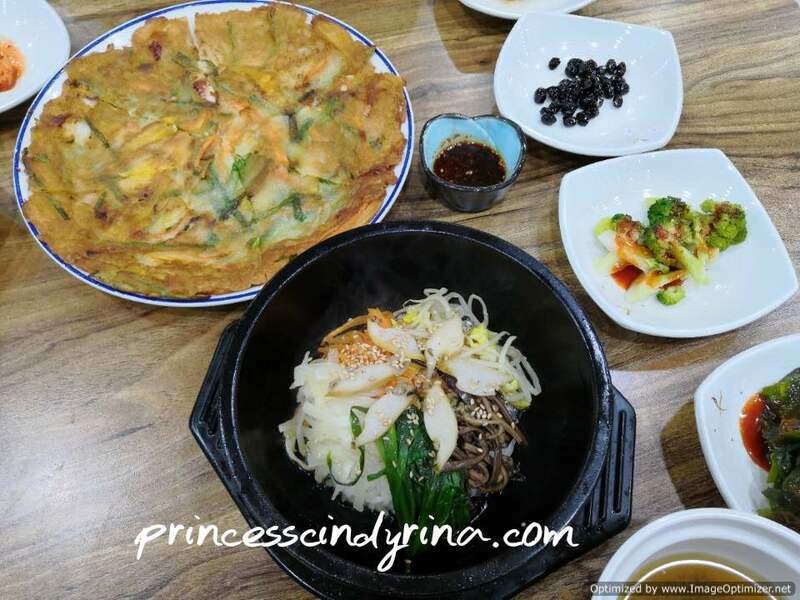 For those who want to taste this, no need to go far to Seongsan Ilchulbong, you can even get this at Maeil Olle Market, Seogwipo. Just walk around the market you will find this too. I walk around the small town near Seongsan Ilchulbong and enjoy the view from a different perspective. My dinner for that night isn't that tasty but enough to fill my stomach. Regret to get carried away at Sagumburi Crater which made me miss out my favourite Ajumma food on my last night at Seogwipo. Weather looks good and the scenery is breathtaking! 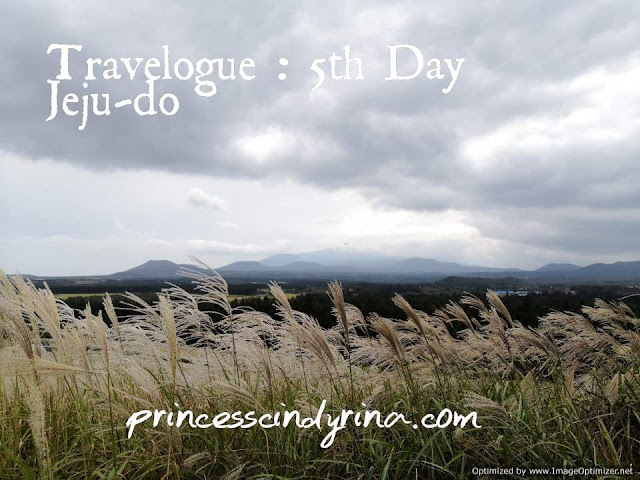 I wish I could visit Jeju too one day! I've never even been to Korea yet lol! 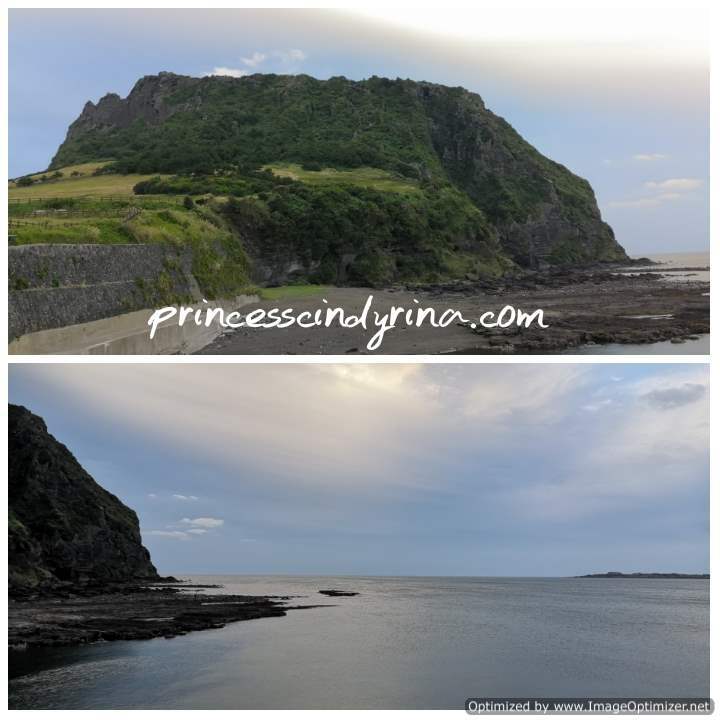 apa yang TB boleh katakan.. cantik-cantik sangat pemandangan dekat Jeju Island ni.. nampak sangat segar je pemandangan .. mesti udara kat sana pun fresh je kan ..
woww the scenery seems beautiful and calming. I kinda attracted to that Octopus Bread, it sounds yummy! Kinda reminds me of Tako, at the same time too, since I think it must kinda taste like that a lil bit, yeah? so yummy hehe. Nice sharing! As usual la typical mainland people. Memang selalu bising n buat masalah walau dimana berada. Hehe. Wah 800 anak tangga tak tahu la i larat ke tak nak daki. If i mungkin gigih kot nak bergambar di spot menarik. But bila ramai2 segan pula nak berikan aksi terbaik. Btw, tempat ni memang nampak tenang dan mendamaikan. Omo, this entry is full with the eye-pleasing nature! 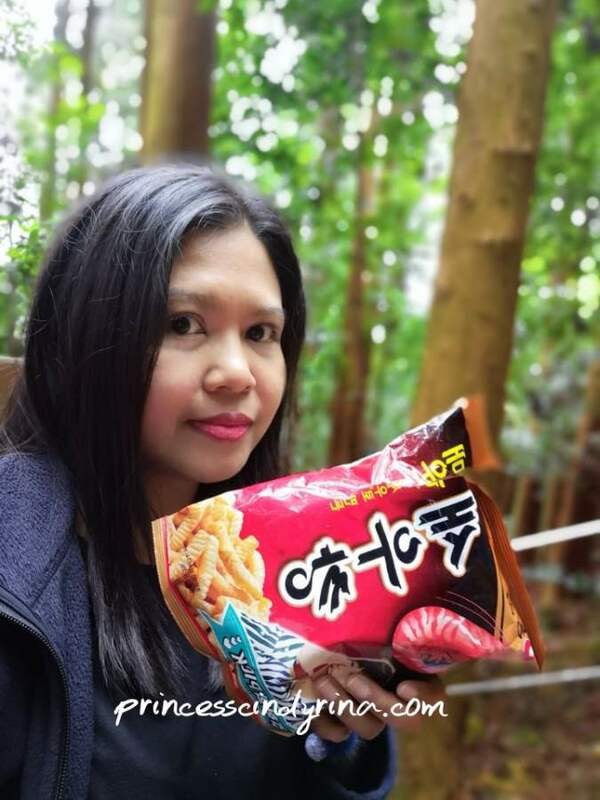 I could see how much you love the forest :p Lucky you kak Reena had the chance visiting Korea a few times already. Hoping I would be there very soon! Oh, and the Octopus Bread looks soft like 'kuih bahulu' hahah. 800 stairs ?? The scenery on the top must be very beautiful i bet. You visited a lot greenery places instead the companies of the idols. I used to read about Korea's trip from other blogs, they visited places that are more about their idols. Love your itinerary ! That green yang u pegang tu look unik..hehee..Cantik sangat suasana dia..Nampak sejuk tu..bestnya..